The Syrian army and popular forces took back one more strategic hill from Daesh terrorists following hours of fierce firefights northeast of Hama province as part of their ongoing advance towards Tabaqa airbase in Raqqa province, Iran’s Fars news agency reported, citing a military source on Sunday. 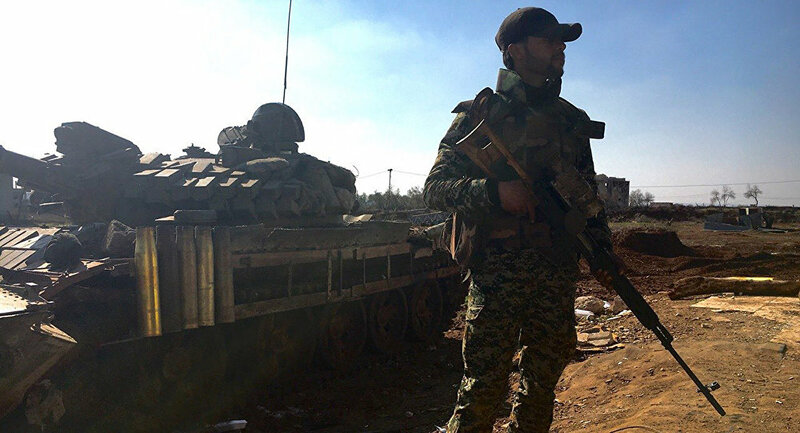 The Syrian Armed Forces, backed by the National Defense Forces and the pro-government Palestinian militia, captured the small hilltop of Tal Masbah, which was one of the last Daesh outposts along the Salamiyah-Raqqa Highway. The government forces are attempting to seize the important Tabaqa military airport in southwestern Raqqa, which was captured by Daesh forces in August 2014. 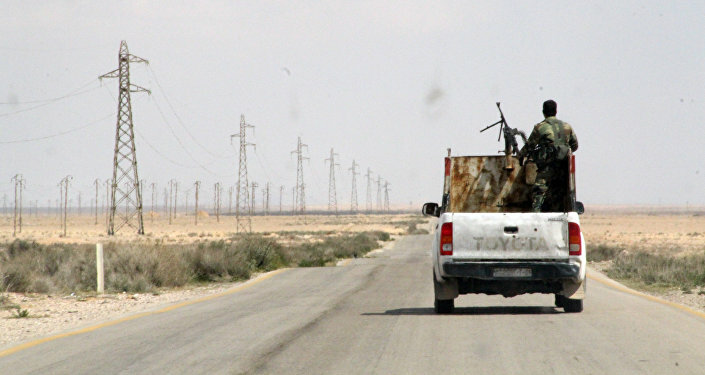 Meanwhile, the Syrian army and popular forces launched massive operations along Ithriya-Raqqa highway northeast of Hama province forcing the terrorist groups to abandon more positions in the region, leaving behind scores of dead and wounded fighters. Earlier on Sunday, the Syrian military aircraft also targeted a major center of concentration for the militant groups deployed in the village of Hamada Omar in Salamiyah region, killing and wounding dozens of terrorists, Fars News reported.